Shasta Dam creates the largest storage reservoir in the state, Shasta Lake. In years of normal precipitation, the Shasta system stores and distributes about 20 percent of the state’s developed water — about 7 million acre-feet —through its massive system of reservoirs and canals. Located 12 miles north of Redding, Shasta traps the cold waters of the Pit and McCloud rivers and the headwaters of the Sacramento River behind its 602-foot curved, concrete face. Water is transported 450 miles from Lake Shasta in Northern California to the San Joaquin Valley. Along the way, the Central Valley Project has long-term agreements with more than 250 contractors in 29 of California’s total 58 counties. A total of 300,000 salmon were released into the Sacramento River on Saturday. Half were dropped at their usual location at Coleman Fish Hatchery near Anderson in Shasta County, and the other half were released 75 miles downstream, at Scottys Landing on River Road near Chico. Surgeons fit the fish with tiny radio transmitters so they can more easily study their survival chances and homing instincts. The area manager of the Shasta Dam, Don Bader said the image is not a hole in the dam, but a spall, which is a small fragment or a chip, that has broken off of a larger solid body. Will hatchery-raised salmon have a better chance of surviving their journey to the Pacific Ocean and back if they get a 75-mile head start? That’s the question a three-year study hopes to answer for the U.S. 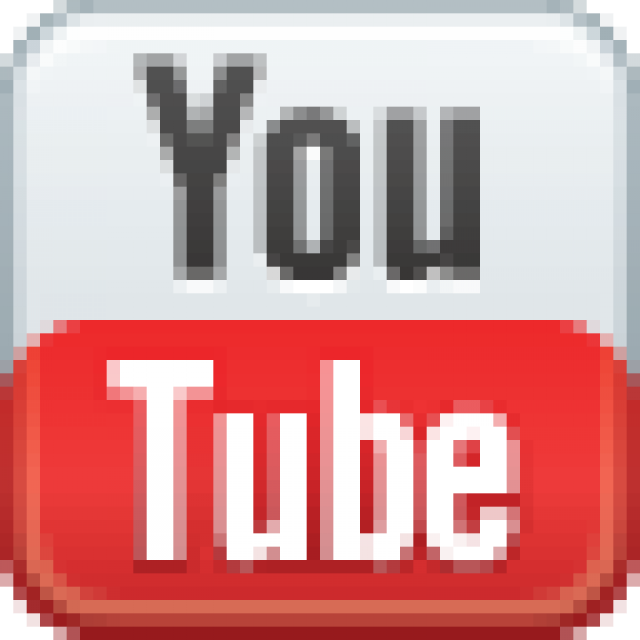 Fish and Wildlife Service and four partner organizations. The plan Saturday is to release 180,000 salmon fry into the Sacramento River 75 miles downriver from the Coleman National Fish Hatchery. People living in flood-prone areas throughout Shasta County seemed to be breathing easier Friday after a long winter dealing with high water threats. For months, many have been watching the rivers and creeks around their homes, in case the waters started to rise. However, despite wet weather and increased water releases from Keswick Dam this week, the residents we spoke with Friday say their waterways are staying at manageable levels. An oversight at the Coleman National Fish Hatchery resulted in the death of some 390,000 fall Chinook salmon this week. Water was shut off to one of the hatchery’s raceways and wasn’t turned back on during fish-tagging operations Thursday night..
State officials are throwing up legal barriers to some high-stakes attacks. … They are refusing to issue permits the federal government needs to build a controversial dam project… And they can use state water quality standards to limit Washington’s ability to boost irrigation supplies for Central Valley agriculture by relaxing federal safeguards for endangered fish. Recent plans to enlarge California’s Shasta Dam by 18.5 feet have raised concerns over possible cultural and ecological implications on wildlife among the Winnemem Wintu people and environmental groups alike. … The change in flood patterns would likely affect vital sacred sites for the Winnemen Wintu Puberty Ceremony for young women, according to the Winnemem Wintu website. The project would also relocate roads, railroads, bridges and marinas, according to a fact sheet from the U.S. Bureau of Reclamation. The extra water from Shasta Lake would raise the lake by an estimated 20 feet, inundating the McCloud River, which is protected by the Wild and Scenic Rivers Act. That piece of legislation was designed to protect the trout that heavily populate those waters. And it’s not just state law that speaks out. One of the provisions of the 1992 Central Valley Project Improvement Act is to protect fisheries up and down the state’s major rivers. Raising Shasta Dam now would only be possible by overturning those two laws. If the Trump administration wanted to increase California’s water supply by the most cost-effective means possible, it would immediately drop its attempt to raise Shasta Dam by 18.5 feet. It would instead put $1.5 billion — the cost of the proposed Shasta enlargement, in 2019 dollars — toward a completely different approach to water supply: watershed and forest restoration. The Bureau of Reclamation, the Interior Department’s Western water bureaucracy that saw its dam-building heyday in the 1960s, has risen in stature once again in the Trump administration. Reclamation has flexed its muscles on Colorado River drought management plans… And it has been the administration’s key player in trying to fulfill President Trump’s campaign promise to deliver more water to California farmers, squeezing the state and forging ahead on a dam project California says it doesn’t want. The Trump administration is laying the groundwork to enlarge California’s biggest reservoir, the iconic Shasta Dam, north of Redding, by raising its height. It’s a saga that has dragged on for decades, along with the controversy surrounding it. But the latest chapter is likely to set the stage for another showdown between California and the Trump administration. More water storage projects will not solve the basic fact that the state’s finite amount of water is incapable of meeting all of the demands. This deficit has been created primarily by the transformation of a semi-arid area— the Central Valley — by an infusion of water from northern California. At least one state agency has indicated it will not issue necessary permits to allow federal officials and a Fresno-based water district to begin construction to raise the height of Shasta Dam. In addition to facing opposition from the state, the project could also face fresh hurdles from Congress, which this year came under control of Democrats. In a letter to the Fresno-based Westlands Water District, the State Water Resources Control Board says raising the height of Shasta Dam would violate state law. A trio of tiny salamander species could mean big trouble for federal officials spearheading a controversial $1.4-billion public works project to heighten the Shasta Dam in Northern California. 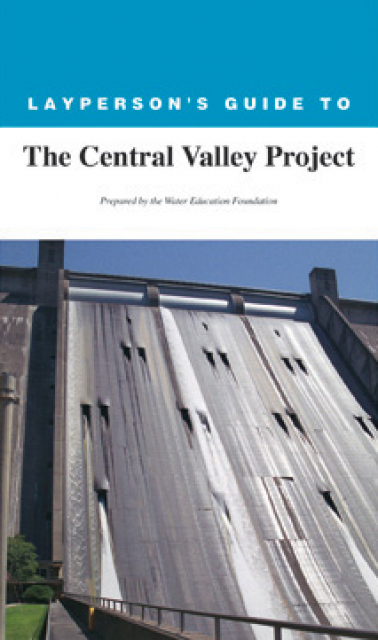 A water district that provides irrigation to San Joaquin Valley farmers heard mostly negative comments in Redding on Wednesday about its role in the ongoing proposal to raise the height of Shasta Dam. The Fresno County-based Westlands Water District, which has stepped forward to help pay the cost to raise the dam, held a meeting at the Holiday Inn to take comments that will be used to develop an environmental impact report on the project. A trio of tiny salamanders could stand in the way of a massive $1.4 billion project to raise the height of Shasta Dam. 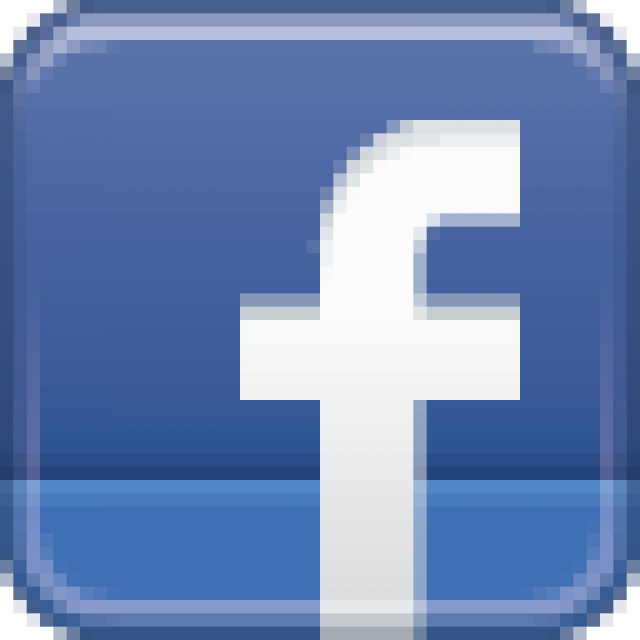 An environmental organization has filed a lawsuit against the U.S. Fish and Wildlife Service, asking a judge to force the federal agency to make a determination on whether three salamander species living around Lake Shasta should be protected under the Endangered Species Act. President Donald Trump signed a bipartisan infrastructure bill this week that could lead to raising the Shasta Dam and funding other reservoir projects. The plan is to spend $6 billion throughout the country over 10 years. The Carr Powerhouse area at Whiskeytown Lake has reopened following this past summer’s deadly and destructive Carr Fire. Officials with the Whiskeytown National Recreation Area said Wednesday that lakeshore access from the pullouts on the east side of Whiskey Creek Road have also reopened as part of the ongoing and phased effort to reopen the entire park. About 130 private property owners around Lake Shasta could be forced to move if a plan to raise the height of Shasta Dam goes forward. That was just one of the pieces of information that came out of a community meeting about the project Monday night in Lakehead. … About 90 people attended the meeting to hear from U.S. Bureau of Reclamation officials about how Lakehead residents and business owners will be affected if the height of the dam is raised 18½ feet. The event, called Run4Salmon, is part of the [Winnemem Wintu] tribe’s plans to change the course of history for endangered Chinook, once plentiful in this part of the world. … [Winnemem Chief Caleen] Sisk says heightening Shasta Dam would further harm salmon and flood ancestral land. She advocates for the construction of new swim-ways to bypass the dam to allow salmon to spawn above it. Nathan Morgan has been hanging over the side of side of Shasta Dam recently — sometimes upside down — making marks on the side of the dam. Morgan is part of a U.S. Bureau of Reclamation crew drilling holes in the side and on the top of the dam to test the strength of the concrete. The drilling is part of the prep work to raise the height of the dam 18½ feet. 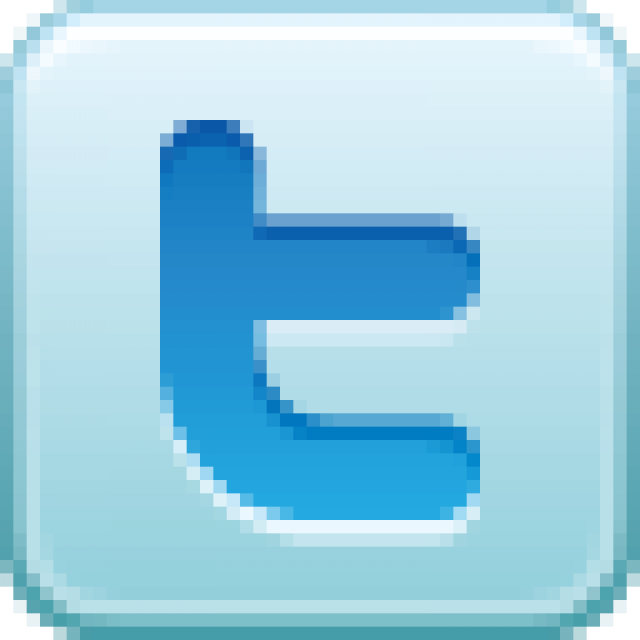 … Earlier this year Congress set aside about $20 million for pre-construction work and design on the dam raise. 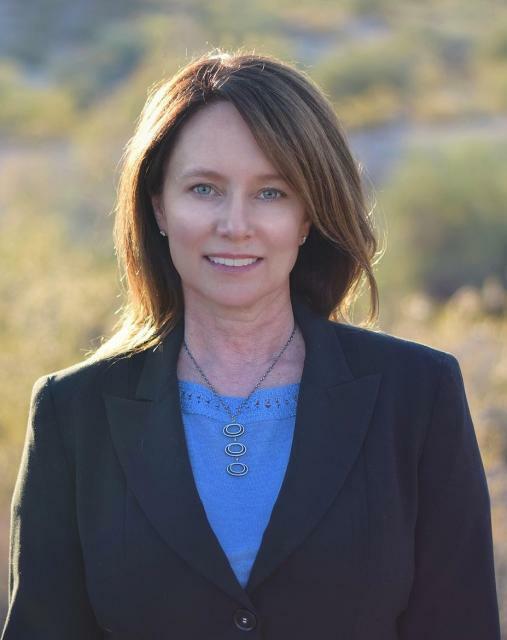 The Colorado River Basin is more than likely headed to unprecedented shortage in 2020 that could force supply cuts to some states, but work is “furiously” underway to reduce the risk and avert a crisis, Bureau of Reclamation Commissioner Brenda Burman said during a talk in Sacramento. 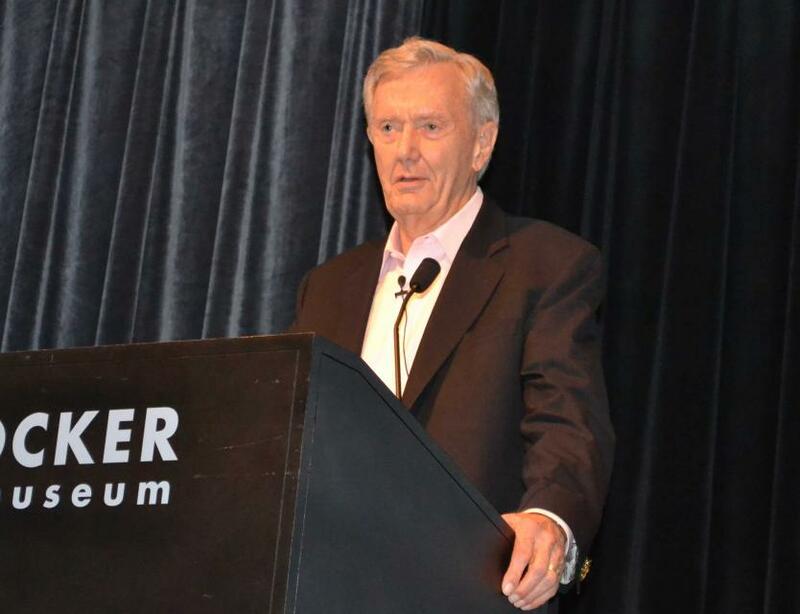 Burman, speaking at the Water Education Foundation’s Sept. 20 Water Summit, also said California needs more water storage, and added that raising Shasta Dam could be one way to effectively add storage. 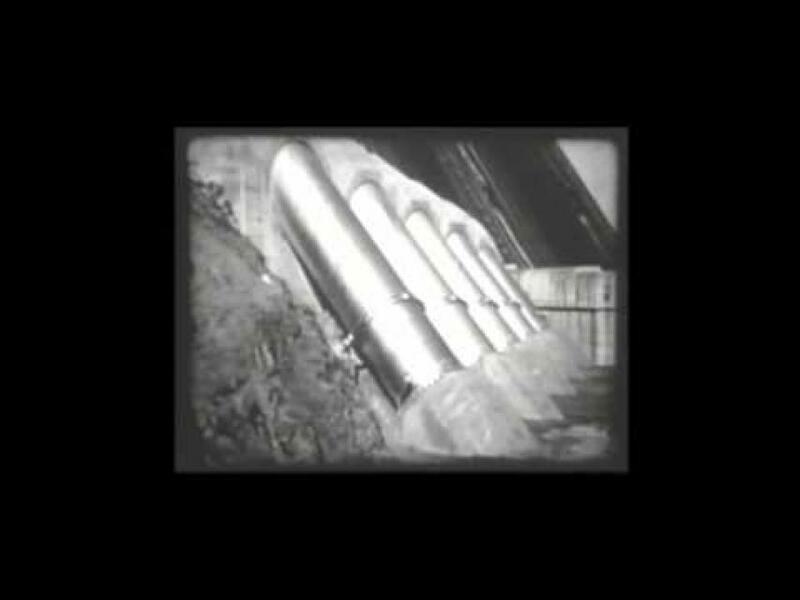 A recent trip to the basement archive turned up a negative pack dated 1952, but upon closer examination it was clear the “6-38” etched on the images was the month and year (June 1938) that they were shot. It didn’t take long to confirm these were Depression-era photos of the Shasta Dam’s construction and the ramshackle “boomtowns” that grew in its shadow. The Trump Administration appears to be bringing President Trump’s recent tweets about California’s wildfires and environmental laws to life. U.S. Secretary of Commerce Wilbur Ross has directed fisheries officials to “facilitate” access to water in order to aid in firefighting efforts in California. After years of environmental studies, feasibility reports and stalled plans, federal officials are once again moving forward with plans to raise the height of Shasta Dam and intend to award the first construction contract next year. The U.S. Bureau of Reclamation plans to advertise for bids on a construction contract in September 2019 and award a bid by December 2019, said Todd Plain, a spokesman for the agency. California’s largest reservoir, Shasta Lake, sits where the dry Central Valley meets the rainier, mountainous northern part of the state. At its western edge is Shasta Dam, 602 feet high, built by the Bureau of Reclamation between 1938 and 1945 to help irrigate California. For decades, agricultural and municipal water districts have sought to heighten the dam to capture more water as it runs out of the Cascade Range through the McCloud, Pit and Sacramento rivers. Feds push to raise Shasta Dam, but would it ease California water woes? Officials with the federal government seem determined to realize a controversial proposal to raise Shasta Dam and increase the storage capacity of the reservoir behind it – despite objections from fish and wildlife agencies and California law that technically forbids such a project. For Shasta Marina, where about nine out of every 10 customers come from out of the area, 2018 business could be better than last summer, when high water levels were a welcome change from the drought that made it tough on lake businesses, owner John Harkrader said. While the cause hasn’t been determined, a University of Oregon student’s death at Lake Shasta over the weekend should be a reminder for people who visit in the future to take their safety there seriously, Shasta Caverns General Manager Matt Doyle said. … Doyle said visitors to the lake need to remember to have “respect for the environment,” which includes bears, extreme heat, rattlesnakes and, of course, a huge body of water. The final stretch of the McCloud River before it empties into the state’s largest reservoir is a place of raw beauty. … This part of the McCloud is off limits to almost everyone except a few Native Americans and some well-heeled fly fishermen. 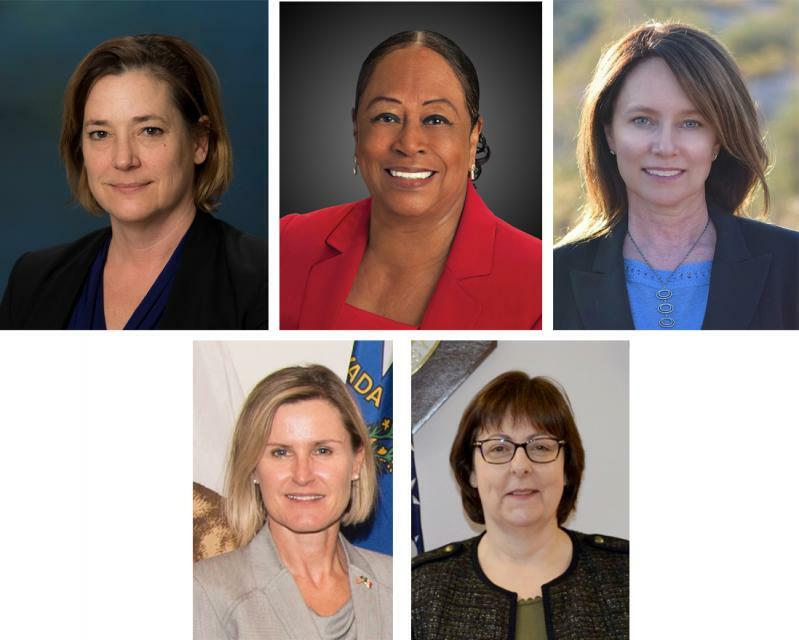 Its gatekeeper is an unlikely one, an organization that also happens to be a hugely controversial player in California water politics. Inclusion of money for raising Shasta Dam got the most attention in a recently released federal budget proposal, but the same package also includes money for Sites Reservoir. The Department of Interior is recommending spending $33.3 million under the Water Infrastructure Improvements for the Nation Act, which was signed into law in December 2016. Democrats in Congress have stalled an attempt to jump start an expansion of Shasta Dam, California’s largest reservoir and a major water source for the Central Valley. Their objections blocked a Republican gambit to allow the $1.3 billion project to move forward without full up-front funding and despite objections from Gov. Jerry Brown’s administration. While one federal agency wants to go forward with plans to raise the height of Shasta Dam, the congressman whose district includes the dam called it a “rumor that is going around all the time,” and said it is not his top priority for water projects in Northern California. The proposal to raise the height of Shasta Dam is back on the table, with a 2019 federal budget request of $20 million for pre-construction and design work on the structure. The U.S. Bureau of Reclamation and several other water agencies in the state have been interested in raising the height of the dam for decades. Thursday’s Top of the Scroll: California doesn’t want this towering water project. Trump administration may build it anyway. The Trump administration is pushing forward with a colossal public works project in Northern California — heightening the towering Shasta Dam the equivalent of nearly two stories. The problem is that California is dead-set against the plan, and state law prohibits the 602-foot New Deal-era structure from getting any taller. For the past 80 years life has only gotten worse for winter-run chinook salmon. When Shasta and Keswick dams were built on the Sacramento River, they kept the salmon from getting to their ancestral spawning grounds, while smaller dams and diversions also were constructed on other streams where the salmon once spawned. Friday night’s federal government shutdown had a minimal effect in the North State over the weekend but those who drove to Shasta Dam and Whiskeytown National Recreation Area found themselves locked out of the visitors centers there. Removing Shasta Dam is the single best action we can take to save California’s wild salmon. Not possible, you say? Then there are two alternatives. One is to provide plenty of cold water and diverse, highly managed habitat below dams. The other is to transport fish to now-inaccessible habitat above dams. Nearly a year after completing one massive bridge-building project on Interstate 5 north of Redding, work on another span near Lake Shasta is already underway. A team of engineers were out this week with hammers banging on the face of Shasta Dam. Hanging by ropes from the top of the 602-foot-tall dam, the group was inspecting the spillway, looking for weak spots in the concrete. As boaters, swimmers, anglers and others splash around in Lake Shasta this summer, all around them millions of gallons of water are disappearing into thin air through evaporation. And not just a little bit of evaporation. “Four or five Friday nights” of work has paid off for Briana Conners, who recently won $10,000 for her winning entry in a contest seeking proposals to get fish past tall dams like Shasta Dam. … While the U.S. Bureau of Reclamation sponsored the contest to solicit ideas for getting fish around tall dams, the agency is specifically interested in finding ways to get young endangered salmon around Shasta Dam. With the Memorial Day weekend almost here, it might be a little difficult for some boaters to get through all the floating debris at Lake Shasta. But with the lake full for the first time in years, it could be well worth the effort. A year after they made national headlines for leaving trash, human waste and almost 100 tents at Lake Shasta, University of Oregon fraternities are getting a second chance from the businesses and agencies that had to deal with the aftermath of their Memorial Day bacchanal. Be careful around rivers the next few weeks. That’s the word from Bureau of Reclamation and other authorities who say that a heavy rain year and scheduled increased releases from Shasta Dam will create high flows on the Sacramento River. While California’s other major dam has been the focus of national attention, the Shasta Dam was making history itself this week. At the end of the week Shasta County residents may see a brief pause in an otherwise active rainy season, but flooding will continue to pose a threat for many low-lying areas along the Sacramento River and near other tributaries. As a series of moisture-packed storms drench Northern California this year, Lake Shasta is seeing an impressive turnaround from near record lows. According to the latest maps, Southern California is still in a drought. But the dry conditions that have mired the region for more than five years have definitely shifted — at least for now. On the day it became official that this was the wettest October in Redding in more than 50 years, the state released water conservation numbers for September. 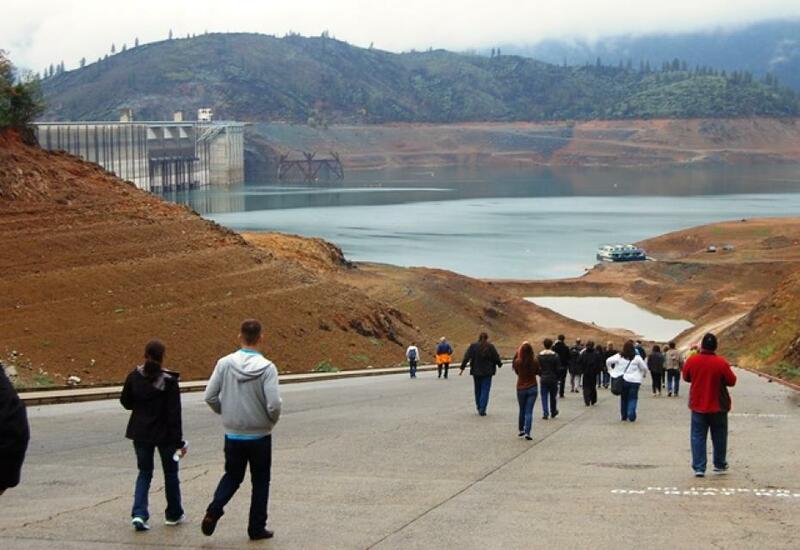 … October’s rain boosted water levels at Lake Shasta. For well over a decade, federal officials have failed to fix a mechanical flaw in the water outflow system of Shasta Dam on the Sacramento River that fishery and river advocates say has caused millions of fertilized salmon eggs and juvenile fish to die in lethally warm river water. Visitors to Lake Shasta should take care because a blue-green algae species has broken out on the Pit River Arm and it could sicken visitors, the Central Valley Regional Water Quality Control Board reported Thursday. After weeks of uncertainty and pressure from members of Congress, federal officials on Wednesday announced a plan for managing water releases from California’s largest reservoir this summer in a manner that will not involve cutbacks in farm water deliveries – at least if all goes as hoped. Instead of working in her office at the Shasta-Trinity National Forest, Forest Service spokeswoman Phyllis Swanson spent Tuesday cleaning up after more than 1,000 college students who trashed Slaughterhouse Island during a weekend boating trip. University of Oregon students who said they wanted to clean up the mess that classmates left at Shasta Lake last weekend couldn’t do so because the site was too much of a biohazard with feces and used condoms, a U.S. Forest Service spokeswoman said. A campsite that offers a serene getaway by a California lake was wrecked after about a thousand fraternity and sorority members left a half-mile-wide swath of trash, empty bottles, tents and coolers after an annual trip. A University of Oregon fraternity was suspended after its members allegedly trashed a campsite at Shasta Lake in Northern California over the weekend, leaving behind piles of litter, feces and beer bottles and abandoning scores of tents. Despite its dramatic rise from a record-low level last fall, water managers said Tuesday that Folsom Lake will likely not fill to capacity this year. … Now, Reclamation officials are developing a plan for what could be a critical third year of salmon protection. Park rangers on their usual Sunday patrol at Lake Shasta encountered a scene of carnage on Slaughterhouse Island — 90 tents, coolers still full of food and alcohol, sleeping bags and yards and yards of garbage. UC Davis students heading to Shasta Lake for Memorial Day weekend are being asked to clean up their mess after another group last weekend trashed an island long used for hard partying. University of Oregon students got a viral black eye Monday when photographs on social media revealed huge piles of trash — with much “O”-branded paraphernalia included — strewn across Slaughterhouse Island on Lake Shasta in Northern California. … The university is investigating the situation and talking with the landowner, which is the federal government. A group of college students left a huge mess in a Lake Shasta campground over the weekend and local authorities are upset. The sounds of watercraft and families enjoying Lake Shasta on Sunday carried across the water against a vibrant backdrop of the tree line. The scene is a far cry from last year’s low water levels on the lake, which became a visual indicator of the state-wide drought and the impact to the local environment. Dusk’s light cast a refracted glow across the water. As we nestled our boat into a cove at Shasta Lake, it was difficult to believe this was the same place as just four months earlier. The El Niño-fueled storms that have swept through Northern California in recent weeks have swelled some of the state’s largest reservoirs to encouraging levels even as the state’s drought persists. After years of drought, Northern California has so much water that the state’s two largest reservoirs are releasing water to maintain flood-control safety. 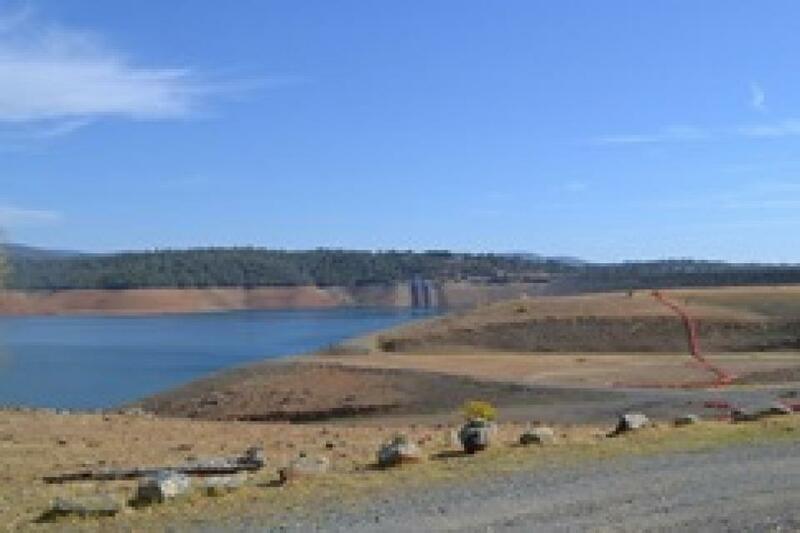 … Shasta and Oroville are the twin anchors of California’s giant water-delivery networks. As the weekend’s soakings dumped billions of gallons of water into Shasta Lake, California’s largest reservoir reached 79 percent capacity — and 108 percent of its historic average — on Monday. Sunday’s storms brought more rain to Northern California, but they also helped the state hit a key milestone in its efforts to recover from the historic four-year drought. Shasta is the state’s largest and most important water reserve, and if it were to fill, it would be for the first time in four years. California regulators set a minimum level of water that should be held behind Shasta and Folsom lakes Tuesday in an effort to avoid another catastrophic die-off of Sacramento River salmon, but they reserved the right to change the limit if El Niño rains fill up the reservoirs. California drought regulators on Tuesday backed off a controversial plan to withhold water from farms and cities next year in an effort to preserve an endangered species of salmon, instead choosing a more flexible approach they said still could do the trick. Preparing for another season of drought, California officials plan to hold back more water at Shasta Lake next year in an effort to save an increasingly endangered fish: the winter-run Chinook salmon. Officials with the US Bureau of Reclamation, the federal agency that operates Shasta Dam, have blamed the drought for the mass salmon die off and say there simply wasn’t enough water to go around. … But environmentalists and fishermen note that by the end of summer 2015, many farmers in the Central Valley had received 75 percent of their water contract allotments, while at least 95 percent of the endangered winter-run Chinook’s fertilized eggs and newborn fish had been killed. 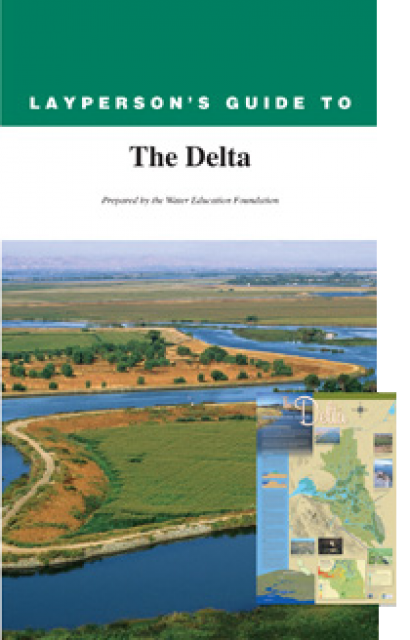 Explore the Sacramento River and its tributaries through a scenic landscape as we learn about the issues associated with a key source for the state’s water supply. All together, the river and its tributaries supply 35 percent of California’s water and feed into two major projects: The State Water Project and the federal Central Valley Project. This 3-day, 2-night tour travels across the Sacramento Valley and follows the river north from Sacramento through Chico to Redding and Lake Shasta, where participants take a houseboat ride. In just two years, Chinook salmon could be swimming above Shasta Dam for the first time in nearly eight decades under a proposal that would truck endangered hatchery-raised fish into a cold-water tributary that feeds the state’s largest reservoir. A year ago, California lost nearly an entire generation of endangered salmon because the water releases from Shasta Dam flowed out warmer than federal models had predicted. Last summer, a narrow, rock-rimmed stretch of the Sacramento River near here turned into a mass graveyard for baby salmon. Upstream releases of water from Shasta Dam were so warm that virtually an entire generation of endangered winter-run Chinook was wiped out. The drought in California is in its fourth year and remains a pressing concern in the state. But through careful conservation and planning, Lake Shasta’s level is 28 feet higher than it was at this time last year, said Federico Barajas, area manager for the Northern California Bureau of Reclamation. The federal government will not pay the nearly $1.3 billion to raise the height of Shasta Dam up to 18 1/2 feet, according to a report released Wednesday on the feasibility of the project. While the final feasibility report says raising the height of the dam would be feasible, it stops short of recommending approval because of cost and financing issues. U.S. Bureau of Reclamation officials, who operate the Central Valley Project, relied on a faulty gauge in April and overestimated the amount of cold water behind Shasta Dam. That error might seem trivial, but not in this fourth parched year of the drought. Over the past few weeks, the state’s largest reservoir—Shasta—has been in the spotlight as managers struggle to meet multiple demands with dwindling reserves. Surface reservoirs are central to managing California’s water supplies for a variety of purposes. … This year the trade-offs at Shasta are particularly challenging, since the survival of a run of endangered salmon may be on the line. Releases from Lake Shasta will be up to 20 percent less than originally planned this summer, although the impact to local farmers’ water supply from that change is still uncertain. State and federal officials said Tuesday that they’re revising their strategy for releasing water from the California’s largest reservoir for the coming long, hot summer to avoid killing off this year’s run of endangered salmon. Their populations dwindling, Northern California’s fish suddenly are taking a leading role in the drought-related drama gripping the state. Citing drought conditions and low water levels in Lake Shasta, state officials have ordered releases from Keswick Dam into the Sacramento River be reduced to help salmon spawning later this summer and fall. California will get a big chunk of federal drought relief money directed at Western states, Interior Secretary Sally Jewell said Friday, in part to pay for refrigerating water at a Shasta fish hatchery where water levels are so low, and what’s left is so warm, that federally protected salmon cannot survive. California is working on a checklist to ease the pain of three-year drought and make sure the state isn’t caught short in the future. One of the items is “water storage,” better translated as more dams. This 3-day, 2-night tour traveled the length of the Sacramento Valley, a major source of water for California. 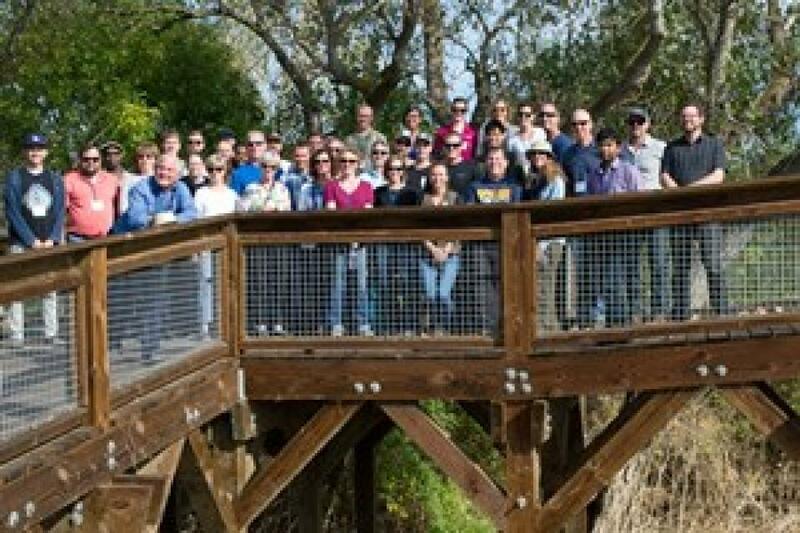 The Water Education Foundation’s popular Northern California Tour features a diverse group of experts talking about groundwater, flood management, the drought, water supplies, agricultural challenges, and the latest on salmon restoration efforts. The tour also includes a houseboat cruise on Lake Shasta. 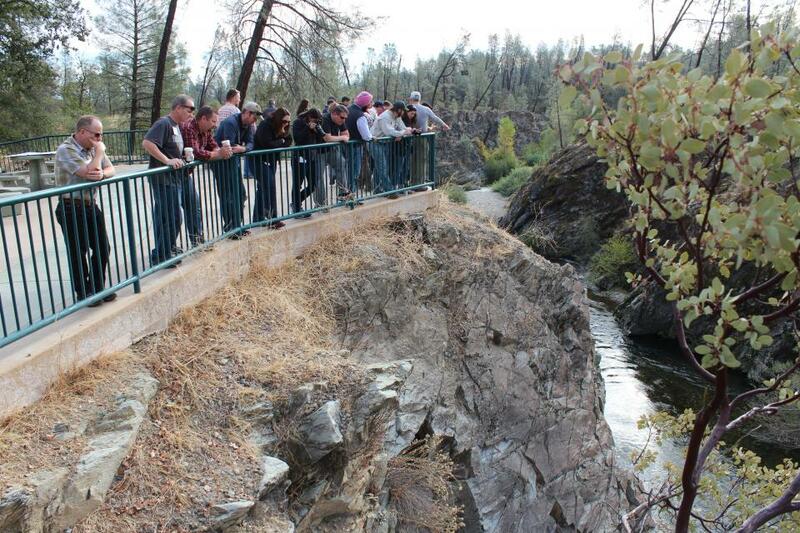 … The tour travels the length of the Sacramento Valley with visits to Oroville and Shasta dams. The 2014 tour took place October 22-24. 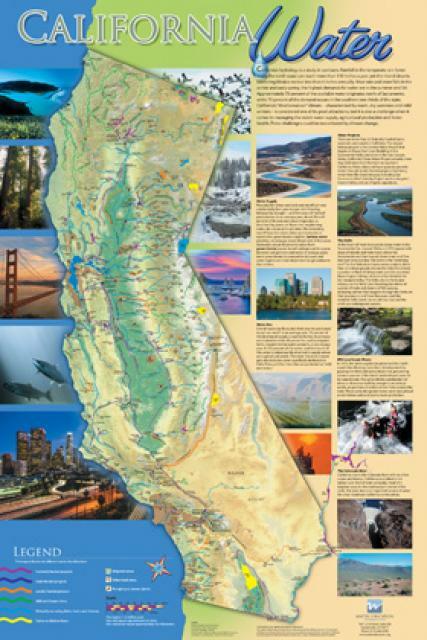 This 3-day, 2-night tour travels the length of the Sacramento Valley, a major source of water for California. David Vogel, Natural Resources Scientists Inc. 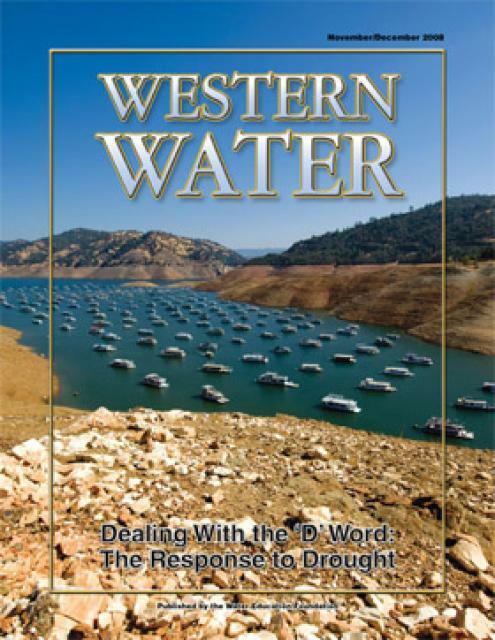 This printed copy of Western Water examines California’s drought – its impact on water users in the urban and agricultural sector and the steps being taken to prepare for another dry year should it arrive. 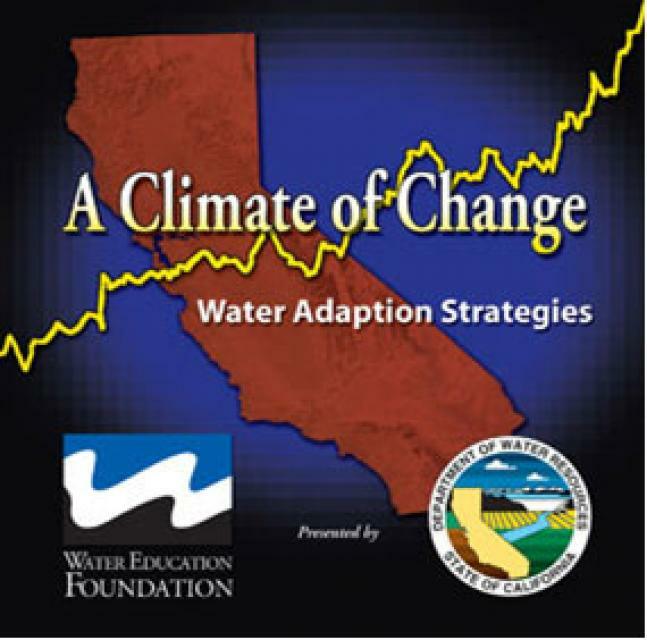 This 25-minute documentary-style DVD, developed in partnership with the California Department of Water Resources, provides an excellent overview of climate change and how it is already affecting California. The DVD also explains what scientists anticipate in the future related to sea level rise and precipitation/runoff changes and explores the efforts that are underway to plan and adapt to climate. 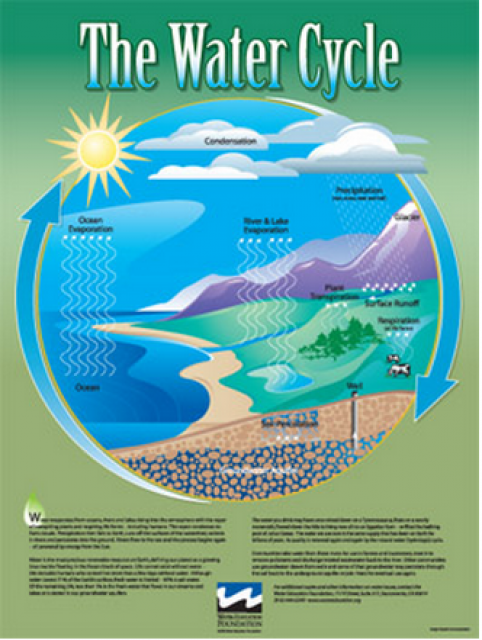 Water as a renewable resource is depicted in this 18×24 inch poster. Water is renewed again and again by the natural hydrologic cycle where water evaporates, transpires from plants, rises to form clouds, and returns to the earth as precipitation. Excellent for elementary school classroom use. Shasta Dam forms the largest storage reservoir in the state, Shasta Lake, which can hold about 4.5 million acre-feet. As the keystone of the federal Central Valley Project, Shasta stands among the world’s largest dams. Construction on the dam began in 1938 and was completed in 1945, with flood control as the highest priority.